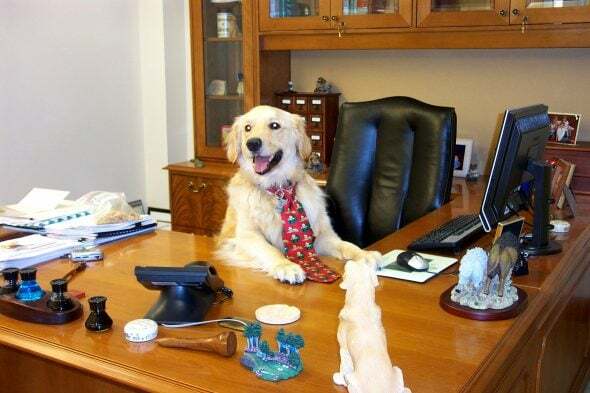 If you’re lucky enough to work from home, every day is “Take Your Dog to Work Day.” But most people aren’t, so today is the one day a year that many companies allow their employees to bring their pups with them. 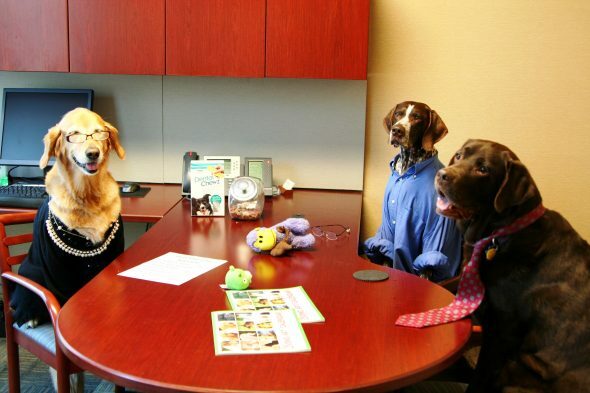 Some workplaces are so fantastic that dogs are welcome all year round! While it’s obviously not recommended for dogs to be brought to work sites that are dangerous for them or where they’ll get in the way, such as an operating room or a factory floor, offices can be the perfect environment for pets. According to Banfield Pet Hospital’s PAWrometer survey, pet-friendly workplaces saw increased worker loyalty, reduced stress levels, and overall employee morale boosted by over 90 percent! Additionally, pet adoption rates could increase if more jobs allowed pets, because parents wouldn’t have to worry about their furbabies being left home alone when they have to work long hours. 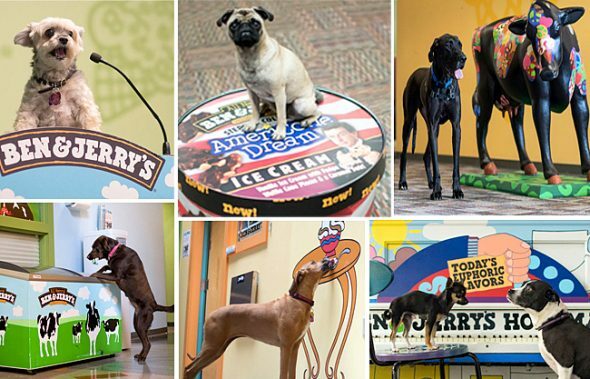 Some of the companies (their headquarters, anyway) best known for being dog-friendly are Amazon (Seattle); Ben & Jerry’s (South Burlington, VT); Bissell (Grand Rapids, MI); Bitly (Denver, New York, San Francisco); Build-A-Bear Workshop (St. Louis); Clif Bar (Emeryville, CA); Crunchyroll (San Francisco, Tokyo); Etsy (Brooklyn); Freshpet Kitchens (Bethlehem, PA); Glassdoor (Mill Valley, CA); Google (Mountain View, CA); Humane Society (Washington, DC); Life is Good (Boston); Mashable (New York); Nulo Pet Food (Austin, TX); Petplan Pet Insurance (Newtown Square, PA); Procter & Gamble (Cincinnati); Refinery29 (New York); Rover (Seattle); The Daily Show (New York); and Trupanion (Seattle). Some of these places are hiring, so check them out! If you have an Einstein Bros Bagels nearby, you can score a free bagel for your buddy today. 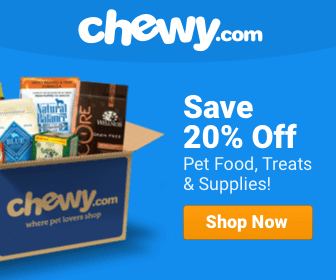 Get your coupon here.